Providing a fun, friendly environment for runners to achieve personal bests and celebrate each other’s successes. 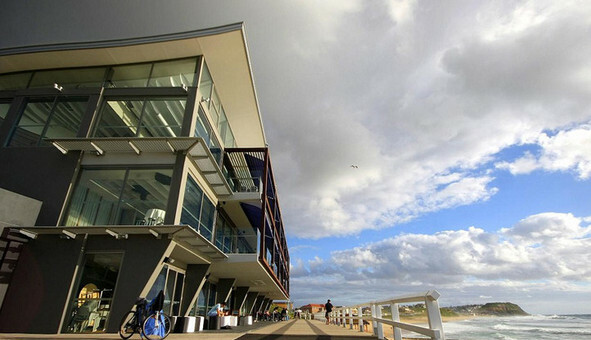 The Newcastle Flyers Runners Club hosts interval sessions every Tuesday and Thursday, with recovery runs often organised on the other weekdays, and a FLyeRS Long Run Sunday from Merewether Baths. Over 100 runners receive regular coaching emails, and session numbers vary depending on people's training program. A friendly group trains together most Tuesdays and Thursdays, with a range of abilities. We have 33 minute 10km runners up to 1 hour 10km runners, with most runners seeing significant improvements in their PBs within months. If you wish to join the club please visit our Join Newcastle Flyers page. Visit our Interval Sessions and FLyeRS Long Run Sunday pages for more information about where and when we meet. The Number 1 Sports Ground has arguably the best turf in Newcastle – great for the many runners who prefer to run barefoot. Newcastle's new athletics track, named after local wheelchair racing champions, Kurt Fearnley and Christie Dawes. Known as the 'blue track' for its brightly coloured surface - the Fearnley Dawes Athletic Centre in Newcastle West has recently undergone an $800,000 upgrade. The Surf House is a great place to finish your long run with excellent coffee and juices available to replenish your energy reserves.